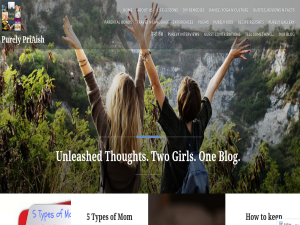 We Pri & Aish are childhood buddies, bloggers and writers unleashing thoughts on creativity, DIY, parental bonds, culinary recipes, travel, dance, yoga, life experiences and more! This what your Purely PriAish Blog Ad will look like to visitors! Of course you will want to use keywords and ad targeting to get the most out of your ad campaign! So purchase an ad space today before there all gone! Comparison is an obsession causing serious rifts among good souls. Has this alegory sprouted up right from the evolution of mankind in most of the homes? Cultivating this abdominal comparability from generations makes one shun or shine than the other, either it goes on with looks, physique, status or studies everything is compared but that definitely does not emphasize a good progress in the growth of a better person. Not all comparisons could lead positive vibes too. Little do all realize when this led to a series of comparisons through generations forming a stir in the lives of their offsprings too. But nevertheless, our generation is growing up smarter and wiser leading to a healthy comparison through sharing, trust and praising the best between each other not falling prey to such blah! How many of our cupboards and cabinets at home have a heap of Newspapers, Magazines, Papers, Bills overflowing? How many of us have a heap and pile of papers, magazines lying at home? Why not set up holders for such bookish treasures by not spending much? Let’s start on with our simple and easy DIY by just sitting at home and create with the little things our hands find. Any work done by us, created by us at our home with the things we have, just completes our overall satisfaction. Some of us think that buying such holders might be expensive, so why not just do this with what we already have at home. With papers and cardboard boxes which are eco friendly and cost effective, this DIY sure is a friendly task. Take any empty cornflakes box and cut the top projections of it. Now, take a ruler and with a pen draw a line across, on top of the box diagonally. Cut the diagonal line with a pair of scissors neatly. Take a gift wrapper or any newspaper to wrap around the box with the help of glue. Voila! A beautiful Eco friendly Magazine / Paper holder is ready! Now, to keep our bills safely, let’s try making this pretty DIY by taking any snack cardboard box and just cut in the middle and wrap the box around with gift papers. Here you go! Bill holder DIY is ready! Just with cardboard boxes, pair of scissors, pen and gift wrappers, a beautiful Eco friendly holder is created, by us! Go ahead and let’s do it together with our loved ones Or just surprise them with your hand made love! Any special occasion at home, we sure think to buy something new related to the ritual or custom we practice. But nowadays we tend to create or make something special for our special days at our home instead of purchasing the ones that are made elsewhere. Occasions, Festivals and important functions while bringing happiness, gives the pleasure of togetherness, innovations and sense of unique creativeness. Such was our spark of creating something unique and simple on this occasion of “Ganesh Chaturthi” – The Festival for Lord Ganesha who is the symbol of wisdom, prosperity and good fortune popped up. One of the important Hindu festivals celebrated throughout India with a great devotion is Ganesh Chaturthi also known as Vinayaka Chaturthi. This day is celebrated as the birthday of Lord Ganesh, the elephant-headed son of Lord Shiva and Goddess Parvati. In many homes, people are so much involved in creating eco- friendly Ganesh idols, clay or tree Ganesha and other items like Umbrella etc. Here, let us have a look at the simple and beautiful royal seat in a step by step pattern where we can place our Ganesha on His special day. Take any three varied color small foam sheets. Holding the three colored hand fan shaped foams, tie their bottom together with a rubber band for the support, while spreading the top beautifully in the fan shape. Decorate the Hand fan with any glitter glues or stickers. Now take one / more foam sheets depending on the size of the box and place on it as a seat. Roll two more foam sheets of any color as a lengthy cushion for the seat. On either ends of the rolled foams, tie with the rubber bands. Take four colored pipe liners and wrap on the rubber bands for a pleasant look. Place the rolled foams on the seat as in a Divan. To close the openings in front of the rolled foam sheets on either sides, take two pipe liners and roll them as a button. Place these two buttons on either sides of the rolled foam sheet to cover the openings if need be. Place the Hand Fan at the back of the seat. Tie the Hand Fan to the seat with the help of a rubber band. Decorate the throne with any flowers, accessories or shapes created with colored pipe liners. Place Lord Ganesha Idol on the Royal seat, welcoming Him on His special day with a Royal decoration. Voila! A simple, pretty and Royal seat is ready within minutes. This simple creation could be used for any special occasion at home and would be of a great handmade gift to your loved ones. Minnesota State Fair! One of the largest Minnesota Get-Together. It was wonderful to be there with all the crowd from all over USA. Over 2 million unknown faces around us with smiles, happiness, laughter and excitement shared exclaims the greatness of life. To the state fair we could take our own vehicles, but to avoid traffic and parking problems it is better to take a bus. There are plenty of buses every 15 minutes from the respective bus points in different places of Minnesota. It takes straight to the state fair with no stops in between. We got into one of these buses with full of people ready to go to the state fair with enthusiasm and fun spirits. Kids loved such an environment with all talks, laughter, fun and excitement. Reaching the state fair and getting our entrance tickets, we entered into the world of happy people. To the immediate right turn, are popcorn, corn dogs and other food stalls ranging with drinks, ice creams and all other yummy delicacies. Also are many handmade stuffs sold in various stores along with different boutiques, leather items and so on..A wonderful treat of varied creations on the go. One definitely would need a whole day or two to have a vision of such unique and marvelous entertainment. With so many rides, kids sure would enjoy the scenes of people high up in air and we riding on them looking down the world. There are specific rides for kids which could be preferred according to the height and adult accompaniment. With stuff to eat, ride on and enjoy, kids do accomplish their full excitement. Also are plenty of games for kids and grown ups to win and try the best. With so many toys, dolls and stuff as prizes, none would leave the fair without any stuff along. Lots of varied games and events make us to give a try and play the best out of us. And there you go to watch the events and be a part of it by trying out BINGO games and enjoying varied events. One such wonderful event we didn’t want to miss was the show by American Idol Contestant, Jessica Jaunich. There was karaoke too for all to come along and participate. One would not miss the indoor sales near Corn the Cob stall where there are so many to purchase. Entering there, we could have a wholesome look on many other stuff to carry home. There was this sewing machine which operated on its own creating the embroidery designs through digital connection. What a wonderful sight looking at a machine sewing the design on its own. Technology of its kind! Never should one miss the famous Sweet Martha Cookie Jar available exclusively in State fair. Wow! What a mouth watering cookie which is ready on the make for you after waiting in long queues. Worth the taste! It is just not the state fair where there are numerous people around us or a large area with so many stalls and stores, but there are events and exhibitions held everywhere where such basic points are to be forever fixed in our minds when we set foot into. Not just for parents with kids but for us too to enhance safety and precautions. 1.Always stick with our family or friends in a large crowd. Yes, we do have phones to reach but just better to be close by physically than digitally. 2. Always hold the hands of kids as being small, they are quite naturally surpassed by people. 3. Better to have a stroller or carrier for smaller ones as they get tired of walking a lot. 4. Better not to compel kids to ride alone on way faster ones even if they prefer too. As some rides might be too tiring and hard for their age even if they are of the right height. 5. Always keep the belongings with us or take the necessary stuff and leave the rest when travelling in own vehicle. The lesser the merrier! Also safety stands first. 6. Better to finish off the rides and then gobble on food as it is the best to enjoy. 7. Always take some food and water for kids as with kids, it is necessary to have a carry on with us. We do know about kids! 8. Wear comfortable clothes for kids and you to enjoy the fun rather than focus on attires. Also take up an extra set for kids. 9. Last but not the least, enjoy the day with friends / families leaving the daily dosage of tensions and frustrations. Build the memories that stay forever! Take the good from others and leave the faults as time predicts the change! The same people who were not too good to us will come back changed..so why stress us for their actions. Be it your friends, close relatives, cousins, dear ones! Let’s be us! We have come across many people quoting “Behind every man there is a woman and vice versa.” But a successful person knows that apart from the loved ones by their side, there is abundant pain, suffer, worry, hindrance, discouragement, hurt, hatred they have come across to achieve their dreams with the best of their efforts, ability, courage, hardwork, focus, self -motivation and above all their Self – Confidence. If you are the owner of Purely PriAish, or someone who enjoys this blog why not upgrade it to a Featured Listing or Permanent Listing?